Why are all of the dates I am entering showing up in Red? All of the dates will appear in red to verify the date with you; this does not mean that there is an error message with the date. The only time there will be an error with the dates will be if there is an error message indicating an issue with the dates at the top of the page. What does Unemployment Eligibility status mean? The options are "Claimant", "Exhaustee" or "Neither Claimant nor Exhaustee." A Claimant is someone who has filed in the last 12 months, an Exhaustee is a claimant who has filed and exhausted all benefits available to them. If neither of these applies to you, select "Neither Claimant nor Exhaustee." What do I select for UI Referred by Status? If the acronyms are not familiar to you, select Not Applicable. This is asking if you were referred by a certain agency. The job occupation field is not working? The job title filed must be filled out before anything will populate in the occupation field. Begin by typing the job title, then select from the list that comes up in order for the occupation drop drown to work properly. You may need to select a general job title if typing in a specific job does not generate a list. What does Gross Salary mean? What if I was paid an hourly rate? Gross Salary can be the "hourly" rate by selecting what the "Salary is based upon" question right below it. What is gross earning this week mean? "Gross earnings this week" is referring to the current week that you are filing. If you have not worked since Sunday of that week then this amount will be ZERO. The same is true for "Number of hours worked this week". Where do I enter the return to work date my employer gave me? You will report this by answering "yes" to the question. "Does the employer intend to recall you within 16 weeks" and entering the date. I am unsure of the amount of (severance/vacation pay) the employer intends to pay me, what do I enter? You can estimate the amounts and we will verify the exact information during the claim processing. Can I save the application in the middle of filling it out and come back to it later? No. The application does not save your progress or answers for your security. If the application is ended before it is complete, you will be required to start over the next time you log on to apply. How can I tell if I finished filing the claim? When filing the claim, you will know that you have reached the end of the filing process if you reach a page titled "My Job Matches" as shown below. Stopping the application before this page can cause your claim not to save in the system. If you have exited the application and want to check from your dashboard to confirm claim was successfully filed, you can do so by clicking "Claim Summary" under Unemployment Services. If there is no claim on file, you will see the image below. I filled the unemployment claim, now what happens? The claim has been submitted for review, it can take up to 21 days for a claim decision to be made. During this time, you will need to log on and complete weekly claim certifications beginning the Sunday after you file the claim. If the claims agent working your claim has any questions, they will reach out to you. You can review the status of your claim by clicking the Claim Summary option under Unemployment Services. 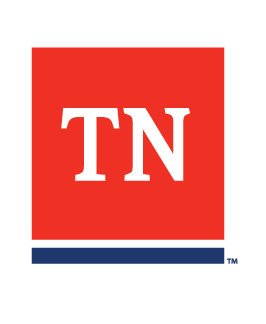 If you still have questions after visiting our Helpdesk articles, contact one of our Helpdesk agents at 844-224-5818 or use the live chat option by selecting the Help button on the lower right of our website https://lwdsupport.tn.gov/hc/en-us.